The key to maintaining proper plant health is proper diagnosis, and the ability to foresee potential problems before they occur. 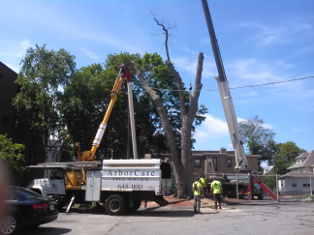 Our arborists will visit your property, and thoroughly inspect all of your plants. Once your property has been evaluated, a number of options will be presented. 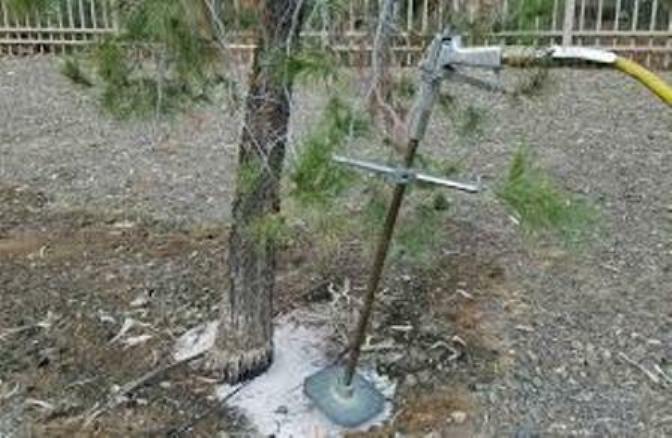 A plant health care program can consist of anything from simple cultural controls, such as proper watering and fertilizing, to an aerial spray of all trees and shrubs. 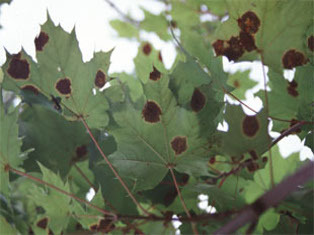 Your trees and shrubs may require spraying to control insects, mites, or disease. In most cases, a non-toxic product can be used to control the target pest, avoiding any harm to the environment. 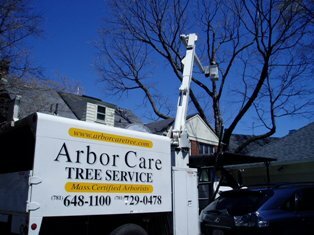 ArborCare will always avoid the application of toxic chemicals where ever possible. We have the equipment and skill necessary for a safe application to plants up to 100 ft. tall. Studies have shown that many soils are lacking in living organic matter. The roots of trees and shrubs are often unable to absorb much needed nutrients due to the absence of living organisms in the soil. Just as you will add organic matter to your vegetable garden, we will inject the soil beneath your trees and shrubs with our organic fertilizer. The increase in natural elements and microbial activity will greatly improve the plant's ability to use the newly available nutrients in the soil. 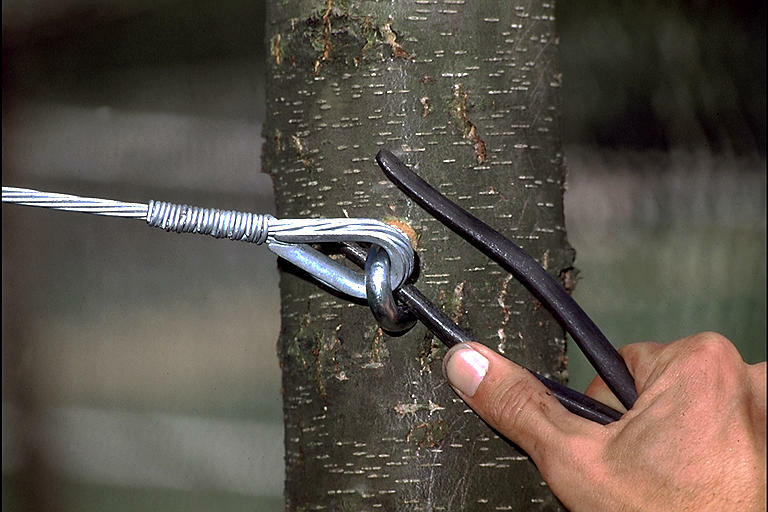 Many trees, large and small, can have structural defects. One of the most common of these defects is the presence of a low angle crotch which develops slowly during the life of a plant. 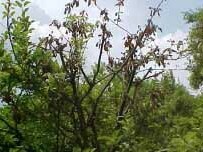 Eventually, these weak crotches can no longer support the upper canopy of the tree. Many customers need only to remove a tree to the ground, but in other cases, the area may be in need of landscaping in which a stump should not be a part. 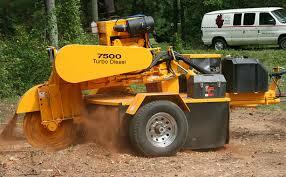 On request, we will finish the job with one of our stump grinding machines. Depending on the location and type of stump, we will grind out all visible portions of the stump nearly a foot below grade. This will allow for a deep bed of new top soil, and the ability to install a variety of new plants. 23 Ton Capacity, 92 ft. tip height, Expert operators, Expert Rigging. Contact our office with detailed information regarding your rigging needs.